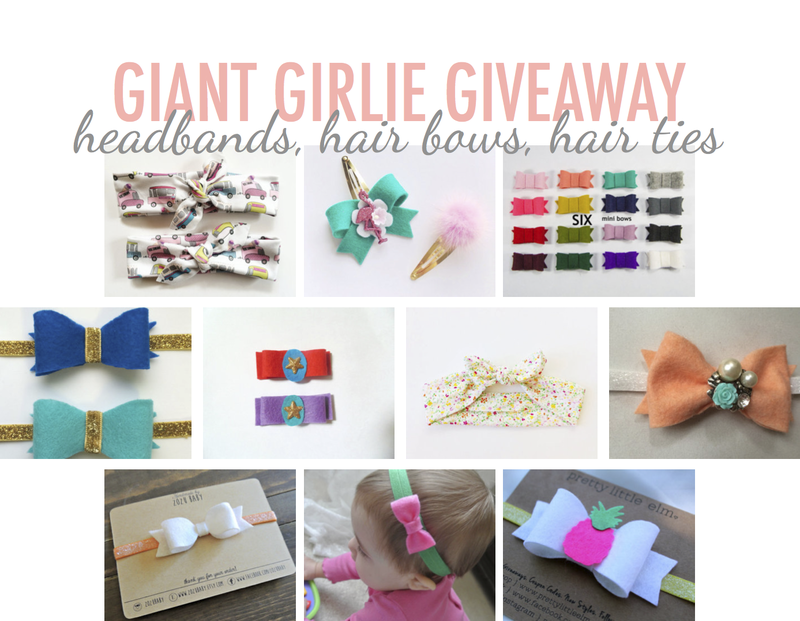 It's been a while since I hosted a giveaway, and even longer since I hosted a girlie hair bow giveaway. I had a bunch during the winter months and decided to take a break as we needed intervention on our own hair bow collection and I wanted to highlight some shops that both, boys and girls, could enjoy. However, I've been in contact with some really great shops and wanted to pass on their generosity to my readers and fellow girl moms out there. This giant giveaway will have TEN WINNERS selected, each winning a separate prize from one of the participating shops mentioned below. Good Luck and Happy Monday!